Named by Musical America as the 2018 'Composer of the Year', Grammy-winning composer Mason Bates is widely renowned for his pioneering practice of creating music for conventional performing forces enhanced by electronic sounds. 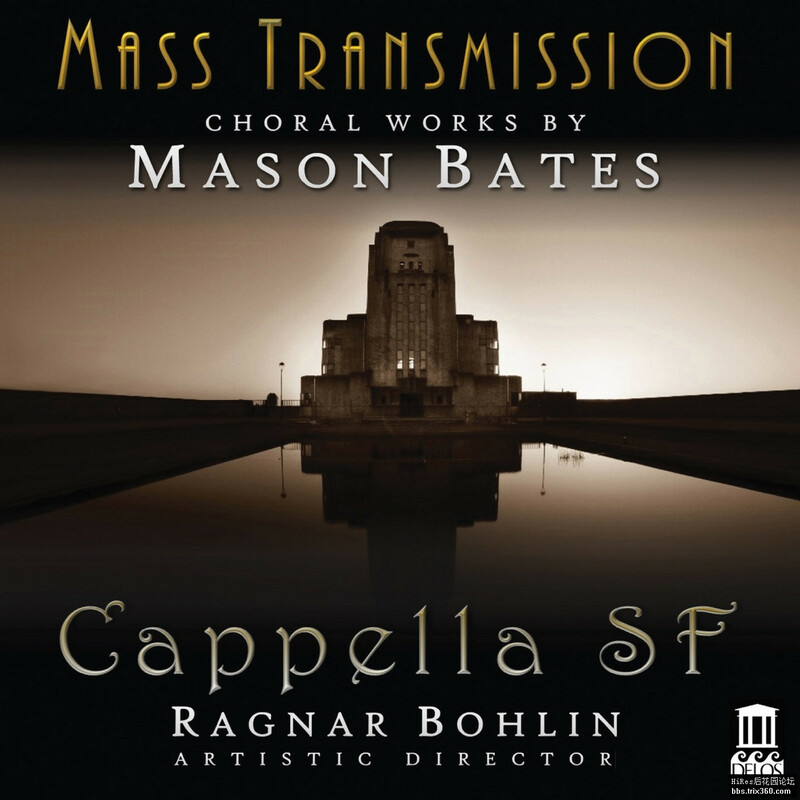 Of the two works presented in this remarkable album, Mass Transmission—in its world premiere recording—is a particularly winning example of Bates’ use of 'electronica', blended here with music for mixed choir and organ. Sirens, lacking electronica, still achieves mesmerizing vocal effects through its complex scoring for 12-part a cappella choir.